Demi Lovato facts make you realize Demi Lovato’s favorite band, sport, color and many more. Demi Lovato is one of the prominent artists in Hollywood. She makes her debut in Disney. You can see her playing as Angela in Barney with the beautiful Selena Gomez. In this post, let me tell you more about Demi Lovato. Demi Lovato’s full name is Demetria Devonne Lovato. She has two sisters. She has a mixed blood of Italian, Irish and Hispanic descent. Her first appearance was in Disney channel when she played as Charlotte in As the Bell Rings. Demi Lovato has some best friends in the industry. Some of them are Selena Gomez and Niall Horan. Don’t be jealous if this member of One Direction has a good relationship with her. Jeff Kinney facts give you extra info about famous people in US. Scott Hughes is the lucky guy whom Demi Lovato fell in love when she was 13 years old. Madison De La Garza is one of Demi’s sisters. She is a famous artist too. You can see taking part in the famous serials Desperate Housewives. If you want to know another famous woman, look at Pocahontas facts. We all know that Demi Lovato is a good singer. But she can also play some musical instruments such as piano, guitar and drums. She likes music a lot for she considers that acting is just a hobby for her. Her favorite band is Paramore. When you see Demi Lovato appearing in public space like in X factor or award function, you can see her in black dresses and clothes. Her favorite colors are black and red. When you ask her to choose a fruit, she will take orange. Her favorite sport is surfing. Let‘s ask her to teach us how to roll on the wavy beach. Her acting career is great as well as her music career. You can see her get an award in People Choice Award for her fascinating role in the serial Grey’s Anatomy. 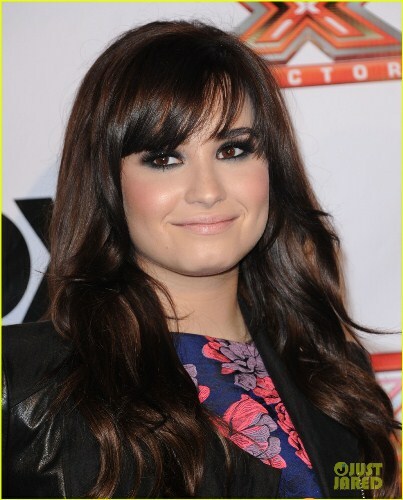 You can also scrutinize her acting in “Princess Protection Program”, “Camp Rock,” and “Camp Rock 2: The Final Jam”. In “Prison Break”, she made a special appearance. When people come to Disneyland, they will love to try a changeling ride. California Screamin’ and Space Mountain are Demi Lovato’s favorite rides when she spends time visiting Disneyland. When it comes about romance, Demi can date the hotties. She had a romantic relation with Joe Jonas. After they broke up, she used to date Will Valderrama. Demi Lovato’s talent and popularity can make people jealous. But you need to know that Demi has been rehabilitated due to severe depression. Now she is okay and is expected to launch her new music video. Do you want to add more facts about Demi Lovato?